We use a very powerful degreaser/dirt emulsifier as a pre-spray treatment for all businesses that hire us for commercial carpet cleaning in Winston-Salem. At Steam Source, we offer the hot water extraction method (also known steam cleaning) for commercial carpet cleaning. This is the deepest cleaning method and also the most recommended by carpet manufacturers. 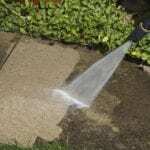 Steam cleaning removes the toughest dirt safely and gently. Hot water is combined with a specially formulated cleaning solution. The hot water and cleaning solution mixture is then injected deep into the fibers of your carpet. This breaks apart any dirt, dust, or even grease from food, giving your carpets the deepest clean possible. Immediately following this process, the hot water and cleaning solution mixture, combined with all of the dirt and grime being removed from your carpets, is extracted using our high-powered vacuums. This process removes all the dirt, soil, grease, and grime out of your carpets and into a holding tank located in our trucks. This powerful suction extracts deep-down dirt, allergens, the cleaning solution, and 95% of the moisture. This allows for much faster drying times, so that your business will be able to resume its regular schedule without any delay after the commercial carpet cleaning process. We use a very powerful degreaser/dirt emulsifier as a pre-spray treatment for all businesses that hire us for commercial carpet cleaning. This allows for the most dirt and grease removal possible so that you and your business get the best possible cleaning. Finally, as an added bonus, every cleaning is finished off with our cherry deodorizer at no charge! With a customized plan that addresses the needs of your Winston-Salem, North Carolina business, your carpets will be cleaner and last longer. We offer a variety of flexibility options to suit your business’ needs. Please call us today and let us give you a free estimate! 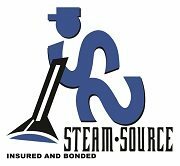 At Steam Source, we offer commercial carpet cleaning services in Winston-Salem, Greensboro, Kernersville, Clemmons, Advance, High Point, Mocksville, Pfafftown, Jamestown, Oak Ridge, Summerfield, Lexington, King, Walkertown, Colfax, Lewisville, Welcome, Bermuda Run, Thomasville, Yadkinville, and Walnut Cove, North Carolina. We specialize in carpet cleaning, tile and grout cleaning, rug cleaning, duct cleaning, window cleaning and pressure washing in Winston-Salem, North Carolina. You’ll Love Our Work; We Guarantee It. Call Steam Source today! Take $10 Off Your First Cleaning Service! 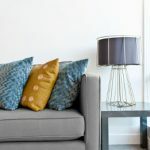 Take $15 Off Your First Upholstery Cleaning Service! Get 20% Off Pressure Washing and Window Cleaning! 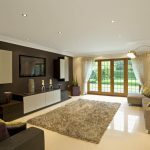 Professional Window Cleaning: Luxury or Necessity?